So Ken Ham and Bill Nye debated. Young-earth creationists were the winners by virtue of being on the same stage with a nationally known science educator before a national audience. The commentary has flowed from both camps. But did anyone ask, “How can 30 to 50 percent of people in the most scientifically advanced culture in the history of humanity believe Earth is less than 10,000 years old?” The only way to make sense of the phenomenon is to understand creationism not as a science issue—for it is not—but as a political movement. 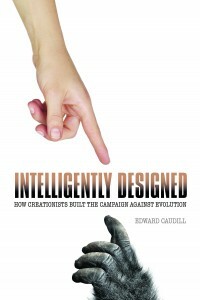 This is the thesis of Intelligently Designed: How Creationists Built the Campaign Against Evolution (University of Illinois Press, 2013). Creationism is a political-religious movement that has skillfully engaged the press and conducted a campaign grounded in American values such as individualism, the heroism of rebellion, freedom of expression and religion, and the allure of venturing into new frontiers, and a democratic tradition. In the latter-day image of William Jennings Bryan, chief among the prosecutors of John Scopes in 1925, creationists have deftly fitted themselves to these American traditions, made them part of numerous campaigns, manipulated the media, and won over a large proportion of the populace. Creationism’s political success stems from good organization, built around a well-defined, easily understandable issue, and a committed constituency. Allies in the religious cause are manifestly political, such as those from the Christian Right that include Focus on the Family, Eagle Forum, Concerned Women for America, Coral Ridge Ministries, American Family Association, and the Alliance Defense Fund. Conservative Republicans are commonly in the group, too. Campaigning is a primal reflex of creationists, given their evangelical origins, and the tent revival has become a partisan rally, amplified by modern media. Recent presidential elections show creationism is politically viable. Leading up to the 2012 presidential election, at least three major, if unsuccessful, contenders for the Republican nomination advocated anti-evolutionism: former vice-presidential candidate Sarah Palin, Texas Gov. Rick Perry, Rep. Michele Bachman of Minnesota. Creationists have drawn mainstream media to the issue by taking advantage of professional standards that obligated the press to cover court cases, to report on candidates and platforms, and to air public controversies at every level from local school boards to the U.S. Congress and presidents, and to tell both sides of the issue. The Scopes trial was the first public performance of modern America’s science-vs.-religion drama. Its high visibility and dramatic quality gave it a special place in the subsequent fight because the trial defined terms and tactics that have endured into the 21st century for the anti-evolution movement. Conflict and spectacle inflated the trial’s significance, just as they have fueled the contemporary campaign against evolution. Like the Scopes trial, the Creation Museum—the venue for the Ham-Nye debate—provided spectacle for creationists and conflict for media, amplifying the controversy and narrowing the issue. The trial also put creationists on the offensive, shifting their efforts from simply opposing the teaching of evolution to eventually appealing to egalitarian values and demanding equal time. This imbued post-Scopes creationists with an aura of tolerance, which they contrasted to the apparent exclusiveness of the scientific establishment, and which Ham artfully used against Nye and the establishment scientists who dismissed his plea for considering this “alternative” explanation. In contrast to creationists, scientists tend to be apolitical and more narrow in that conducting science is their profession, their focus. For them, engaging the public is a secondary concern. For the most part, scientists seem unaware of their decline in the campaign for public opinion, primarily because they do not understand the strength of the opposition, which is essential to taking effective action. In the contemporary debate, creationists understand and use media. Scientists understand science, and argue the issue from perspectives of validity and reliability, as Bill Nye did, which the public largely disregards or does not understand. Scientists have continued to make a logical, empirical, scientific case in order to vanquish those who have no regard for logic, empiricism or science. 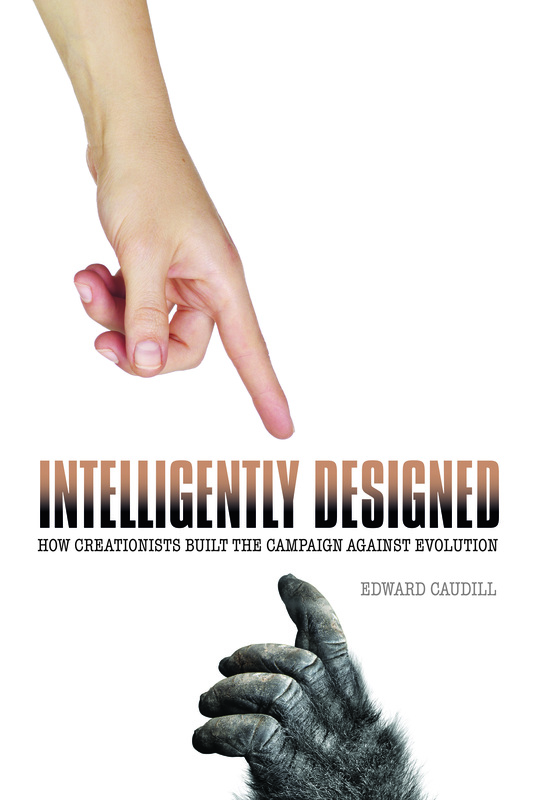 Edward Caudill is a professor of journalism and electronic media at the University of Tennessee, Knoxville and the author of Intelligently Designed: How Creationists Built the Campaign against Evolution.